In this podcast Professor Riley-Smith examines Antioch: the turning point of the Crusade, Edessa, the advance on Jerusalem, the use of modern warfare, the massacre of Jerusalem, ethnic cleansing, the consequences of the fall of Jerusalem and the creation of the Crusader States. Antioch: the turning point of the Crusade. The fall of Antioch, Edessa, panic and holy relics. The advance on Jerusalem, support from Edessa and the use of modern warfare. The massacre of Jerusalem and a policy of ethnic cleansing. 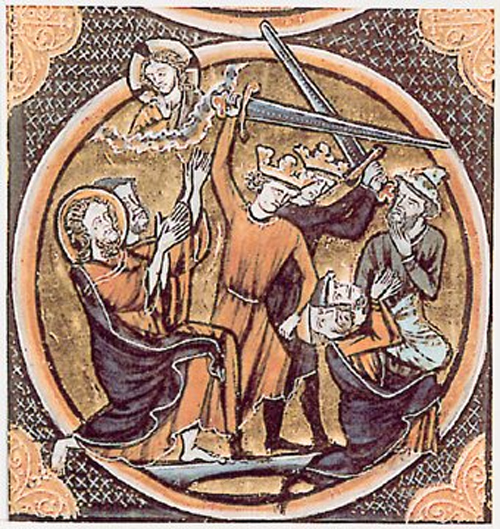 Consequences of the fall of Jerusalem and the creation of the Crusader States.